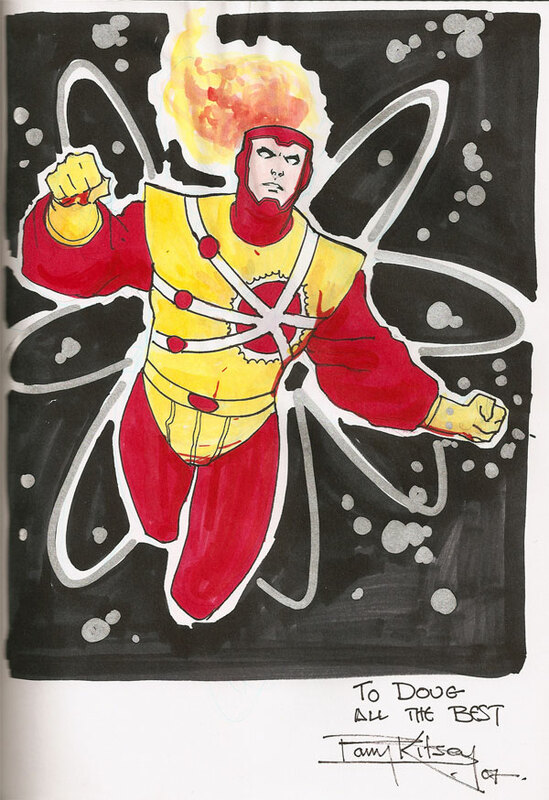 Here is a fantastic Firestorm sketch from artist extraordinaire, Barry Kitson. Kitson is known for his work on books like: Amazing Spider-Man, The Order, Empire, Legion of Super-heroes, Adventures of Superman, JLA: Year One, L.E.G.I.O.N., and Titans. For a complete rundown of his work, visit the Comic Book Database. I particularly like his approach to Firestorm’s hair and the background in this sketch. A huge THANK YOU to Doug of the Doom Patrol blog for providing me with a scan of this sketch. Nice! I especially like the soft colors on the flame.